The North Sea is one of the busiest seas in the world. 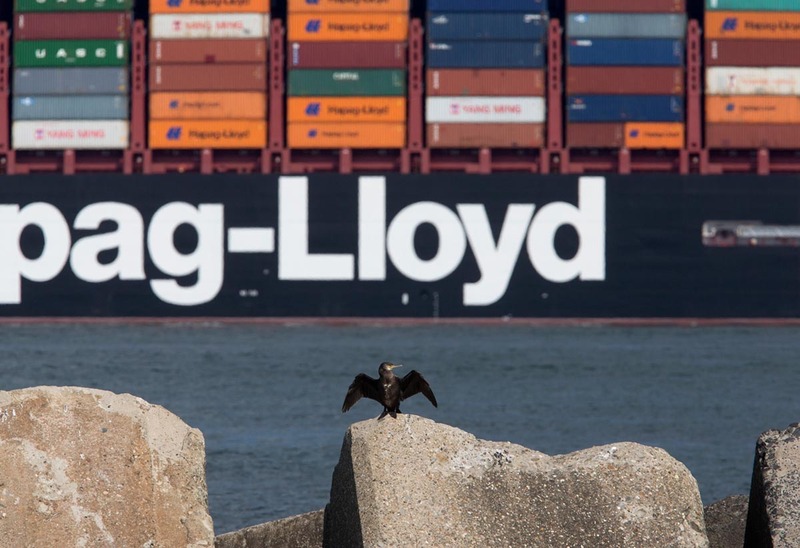 Container vessels arrive from all over the planet. Also, hundreds of ferries cross the North Sea between the United Kingdom and the continent. Then there is fishing activity, recreational boating and transportation to and from wind parks and offshore platforms. 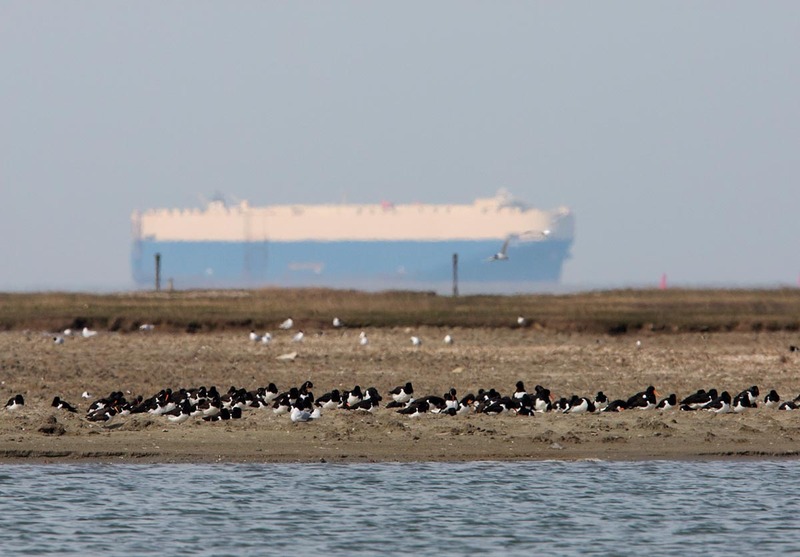 All this shipping leads to habitat loss, pollution and disturbance. 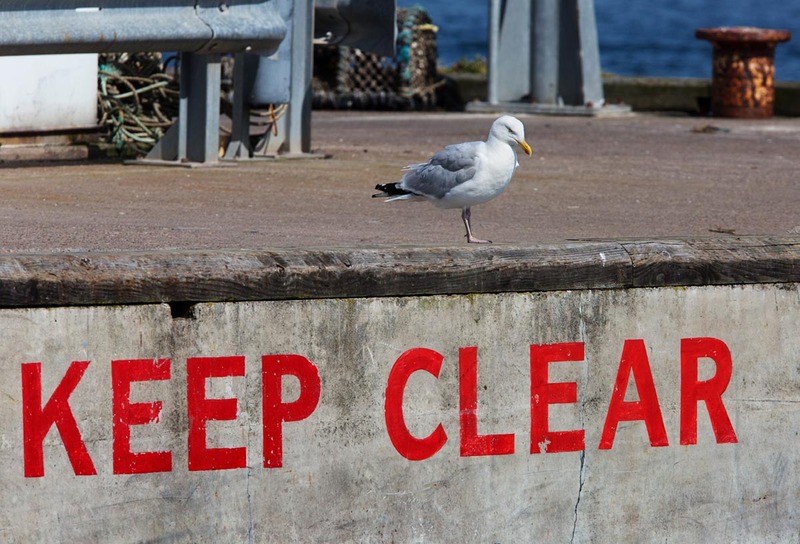 It is just one of the many threats to birds caused by human activities in and around the North Sea. 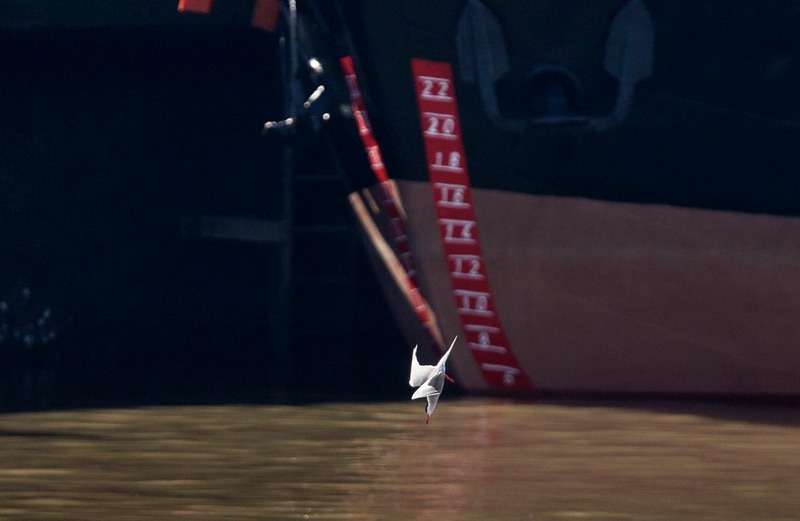 Great Cormorant drying its wings while a containership enters the port of Rotterdam. 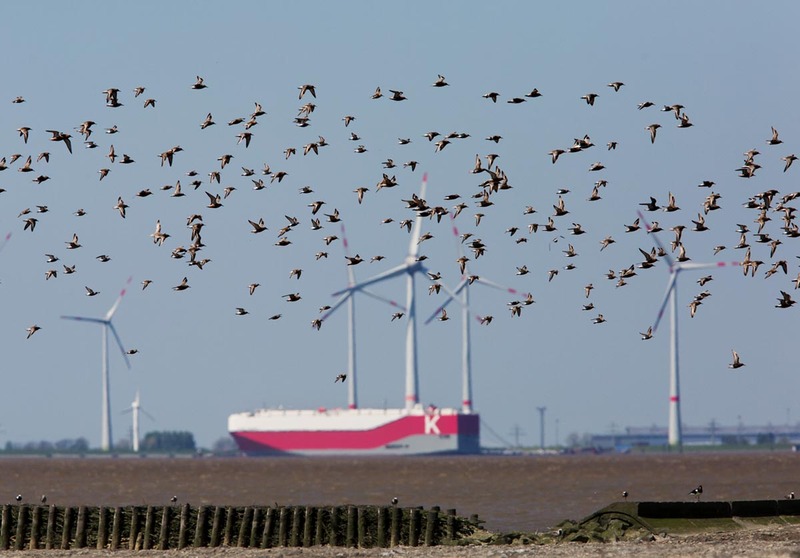 Dunlins and Knots over National Park Niedersachsisches Wattenmeer at Bohrinsel. In the background the port of Emden, with a K line car carrier. 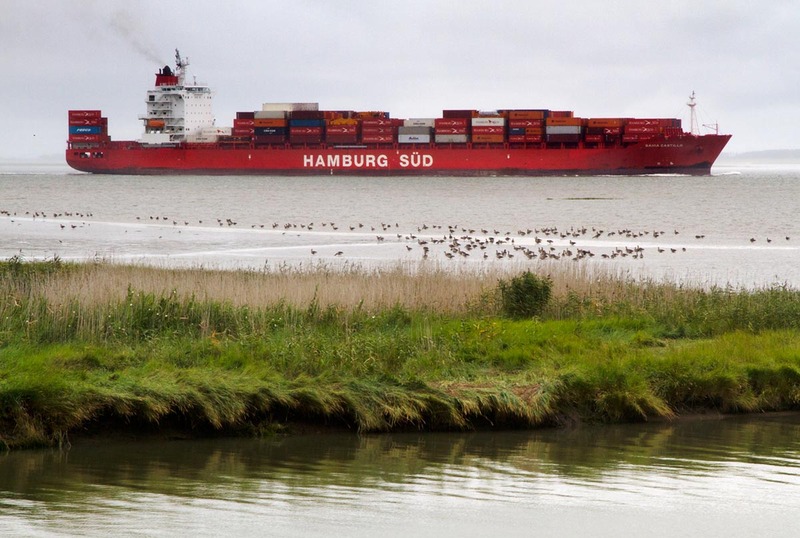 Greylag Geese and a container vessel on the Western Scheldt, headed for the port of Antwerp in Belgium. Herring Gull in the port of Seahouses. 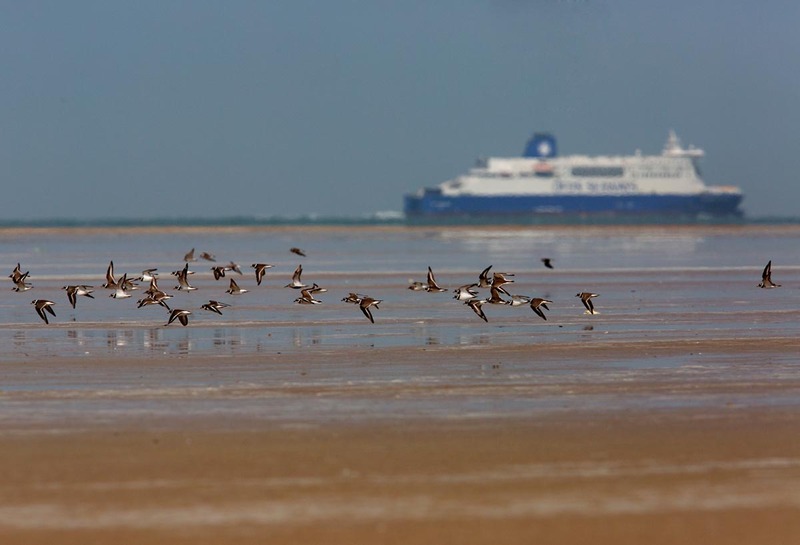 Ringed Plovers on the North Sea beach near Calais. In the background, a ferry crossing from Dover to Dunkirk. 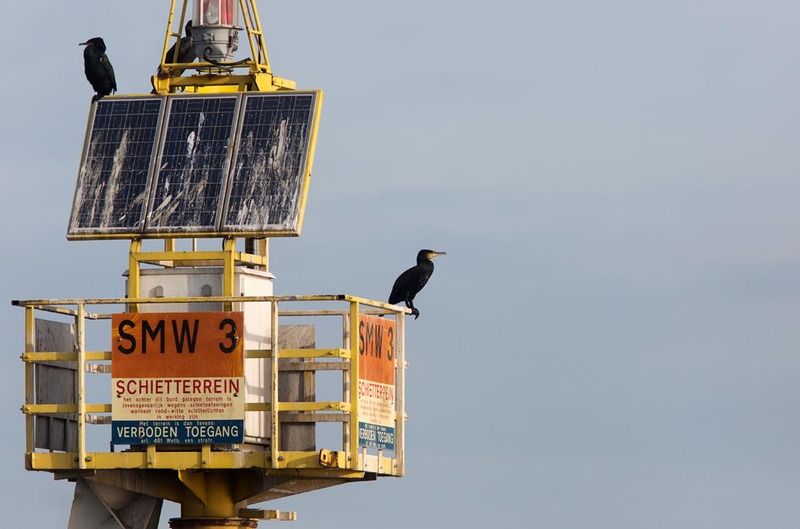 Great Cormorants on a warning buoy in the Wadden Sea near a military shooting range. 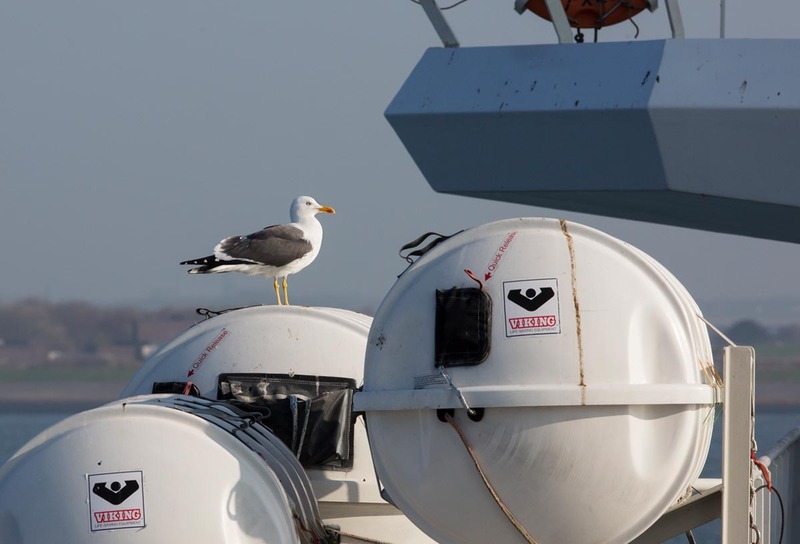 Lesser Black-backed Gull on the ferry between Den Helder and Texel, the Netherlands. 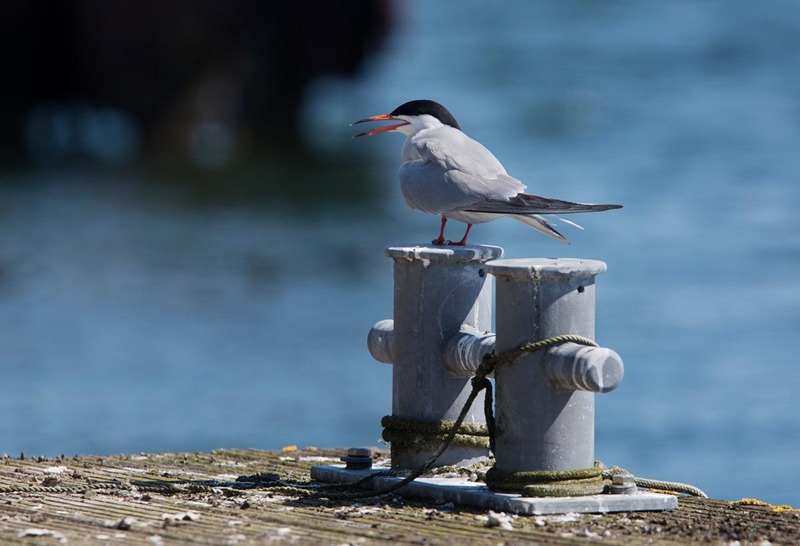 Common Tern in the port of Cuxhaven, Germany. Oystercatchers in nature reserve Voorland bij Nummer Een. In the background a freighter on the Wester Scheldt on its way to Antwerp. 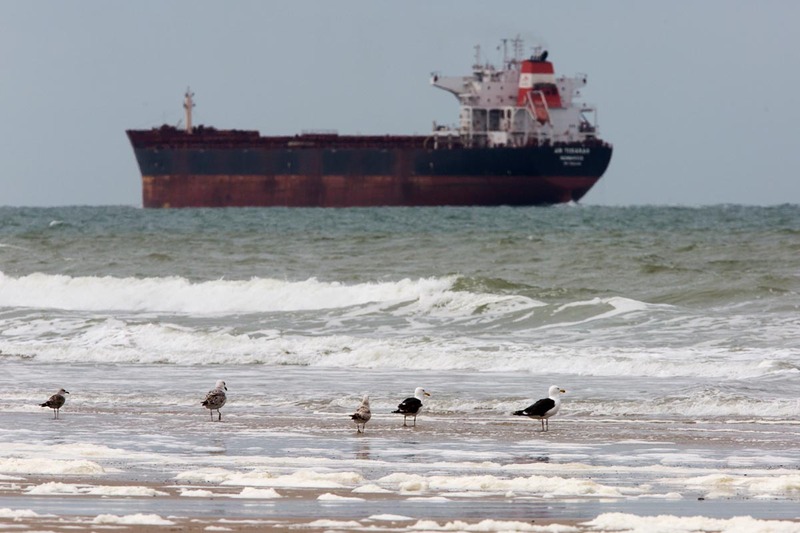 Great Black-backed Gulls on Plage du Braek outside the port of Dunkirk. In the background a freighter leaving the port of Dunkirk. 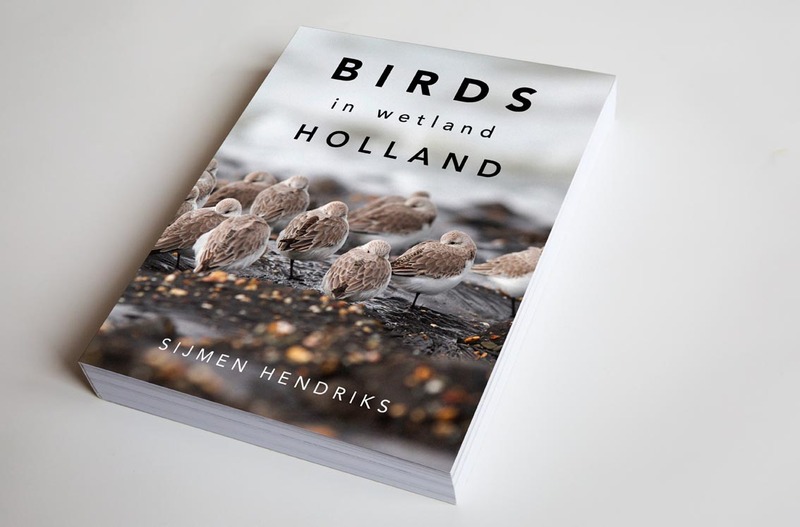 Reblogged this on Sijmen Hendriks Fotografie. Boeiend contrast van vogels en machinerie.